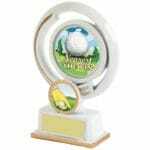 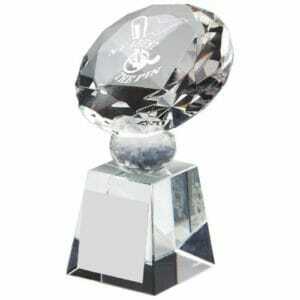 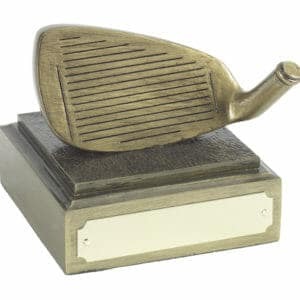 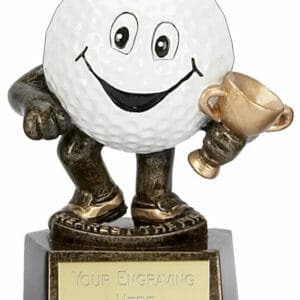 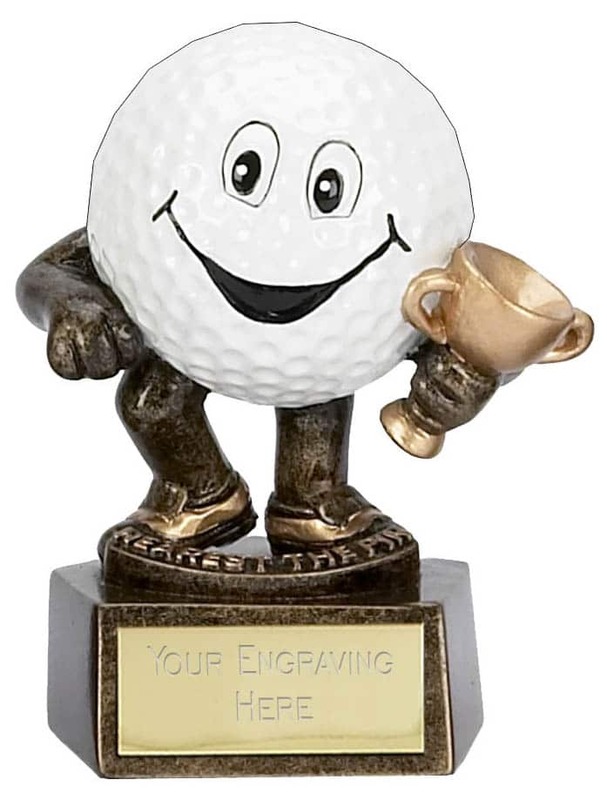 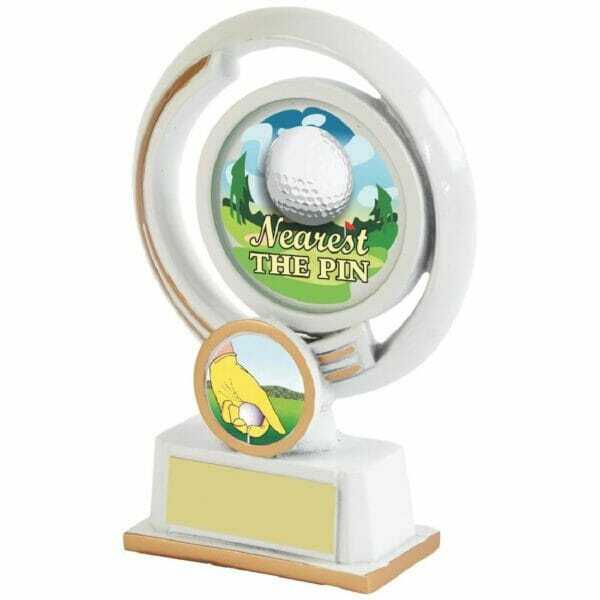 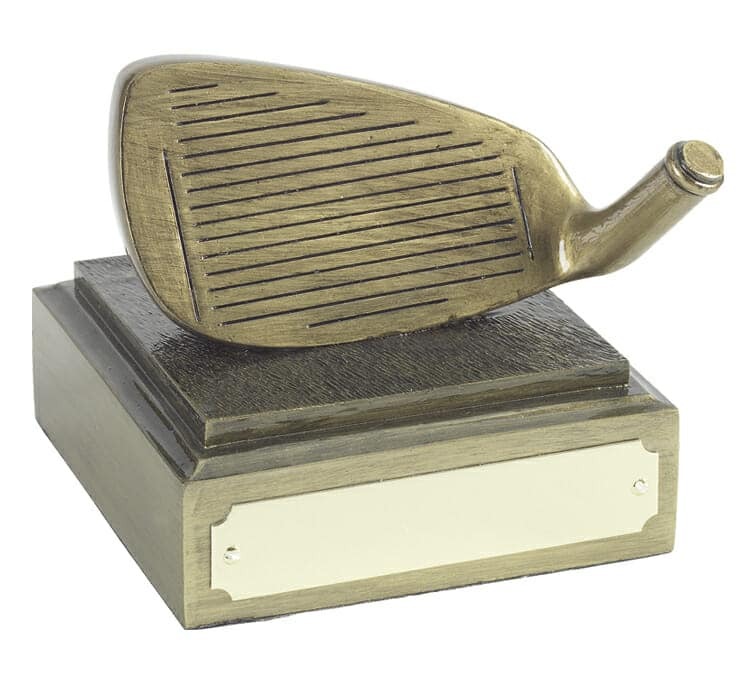 This Nearest the Pin White Trophy can be personalised with your choice of wording on the plate supplied. Ideal Golf Award for Nearest the Pin Golf competitions at corporate golf events, charity golf days and family golf holidays. 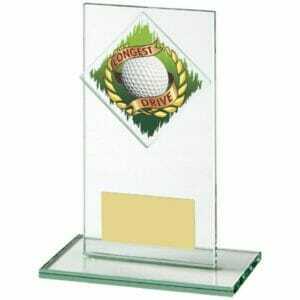 Matching Longest Drive White Trophy available (640ZAP) – as pictured left.